Voltar’s Vault is opening again, The Eye Of The Storm is coming! Patch 2.3 was released but a week ago. We’ve seen the addition of a new Naut, Penny Fox, and a whole batch of other improvements to the game. 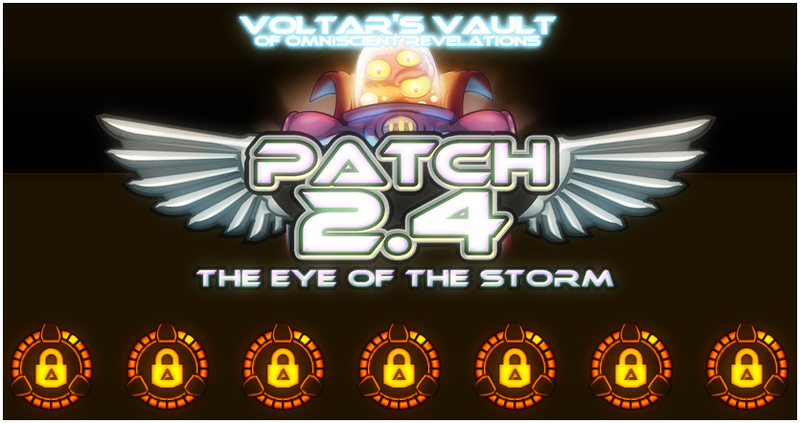 But already Voltar’s Vault stirs again, for a new patch is on the horizon: The Eye Of The Storm is coming!